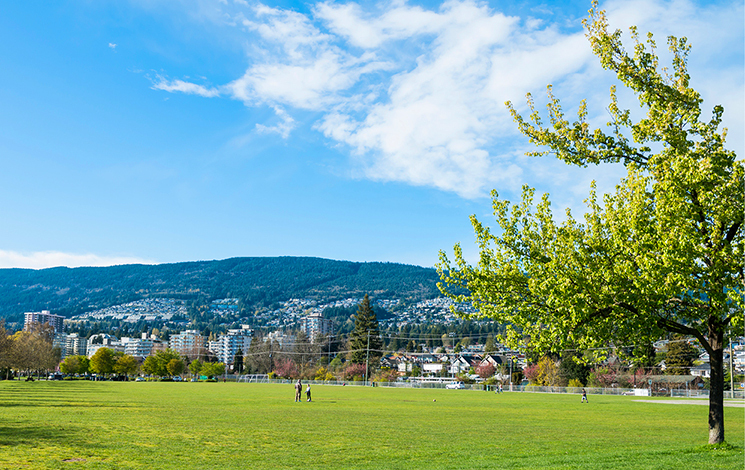 As West Vancouver’s gateway park, Ambleside is fully accessible and well used by both West Vancouver residents and visitors. Enjoy spectacular views of Stanley Park and downtown Vancouver. Come walk the Seawalk, visit the dog park, play beach volleyball, relax in the sand and more! Enjoy delicious fish and chips, burgers, hot dogs, wraps, beverages, and ice cream seven days a week. Home to a newly renovated skateboard section at the centre of boards, blades and baskets. Popular for basketball, street-style skateboarding, roller hockey, in-line skating and bicycling. Located near the beach and playground. Enjoy three courts on a first-come-first-serve basis. Please restrict games to 30 minutes if others are waiting, and respect court reservation times for lessons. 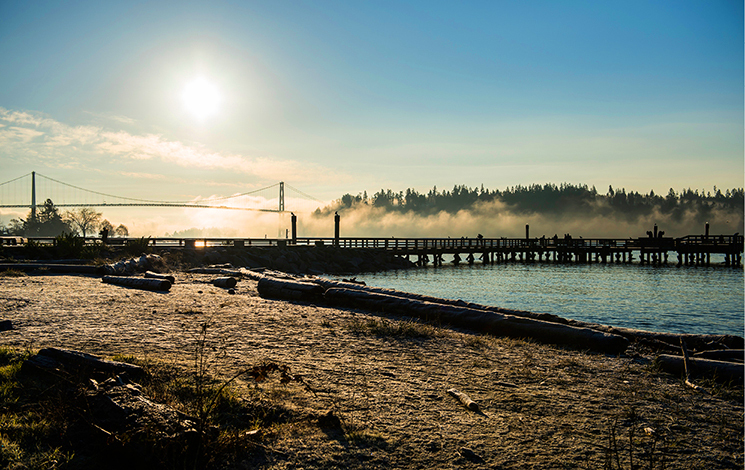 Ambleside Park has sandy beaches and a designated swim area monitored by lifeguards in the summer. Enjoy this popular swimming spot, but please supervise children at all times and always swim with a buddy. Looking for something to do on a sunny day? Test your golf skills at this beautiful waterfront Pitch and Putt! For more information on the Ambleside Par 3 course, please visit the Golf section. Ambleside Beach is officially open for the summer June 25–September 3, 2018, when lifeguards are on duty. Lifeguards are on duty seven days a week from 12–7 p.m. during this time. Service is weather dependent. Saturday & Sunday: 10 a.m.–8 p.m.
After extensive community consultation and four decades of work from the community, previous Councils and staff, the Ambleside Waterfront Concept Plan was endorsed by Council on Monday, June 13, 2016. Swans are beautiful and much-admired residents of Ambleside Pond. The District of West Vancouver keeps swans in the park under an Avicultural Permit from the Canadian Wildlife Service. For information on spring/summer lessons, please see the Leisure Guide.